Life is easier for shopaholics who live in Aberdeen because they have numerous options when it comes to malls and great shopping centers. One of them is Bon Accord & St Nicholas. Comprising more than 65 shops with famous brands not to be found anywhere else in Aberdeen, Bon Accord is definitely a place for every taste. Whether you need clothes, shoes or expensive gadgets, you will find them all here. 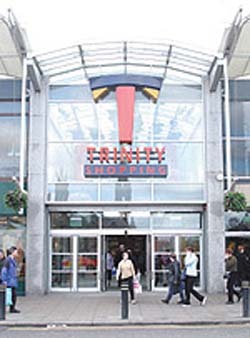 Haven't heard about Trinity Shopping Centre? 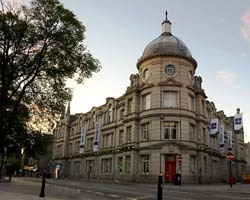 Access www.trinityaberdeen.co.uk and find out what special offers are on in Aberdeen and other additional shopper information. If you live close to the city centre, pay this place a visit and discover over 20 great shops with everything you need, from fashion to footwear. The place is also perfect for hanging out with friends on a Sunday noon. Probably one of the best shopping centers in Aberdeen, this is how people describe it. The Academy Shopping Centre represents more a relaxing place than a shopping mall, people coming here to hang out with friends more than for shopping. The reasons why so many people choose The Academy Shopping Centre instead of other malls and shopping centers in Aberdeen is the great amount of shops, the reasonable prices and the exquisite location. If you live in Aberdeen, you must already know this place. 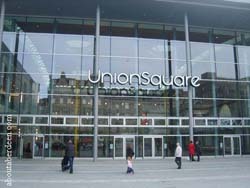 Union Square Shopping Centre has over 50 luxurious shops, which suit every budget, from Zara to Apple and Joules. Besides the pleasure of shopping, people can also enjoy the pleasure of eating and watching TV. Here you will find a great palette of eateries, from cafes and stylish restaurants to simple places from where to grab a snack, as well as a ten screen multiplex cinema with over two thousands seats.